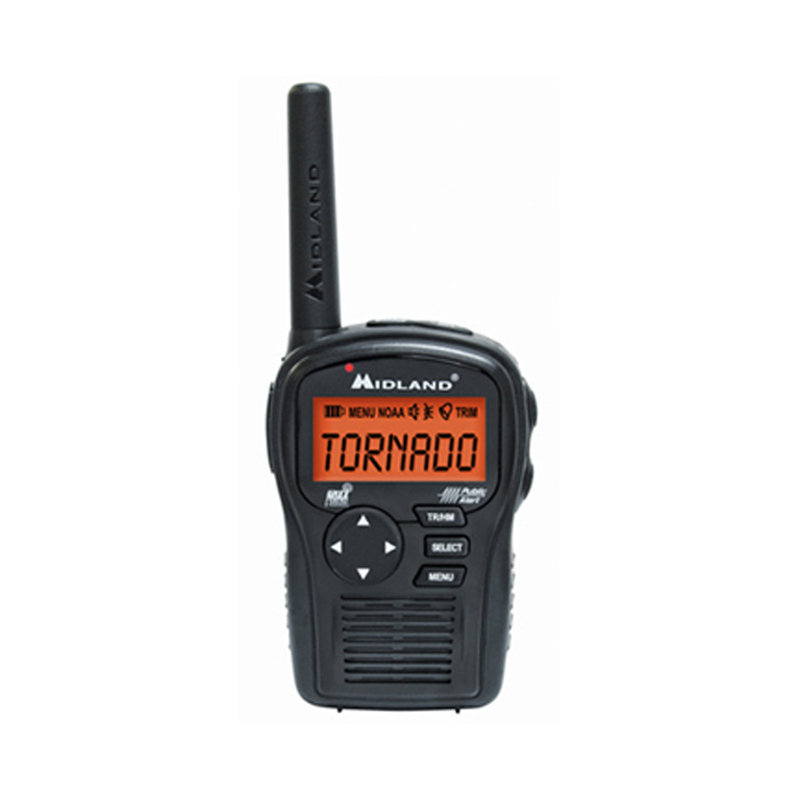 This Midland EH55VP portable handheld emergency radio broadcasts emergency threats 24/7 from tornados, floods, hurricanes, fire and earthquakes. The EH55VP broadcasts more than 80 emergency alerts and other emergency hazards and is recommended by the Department of Homeland Security for Emergency Preparedness. Features instant NOAA Weather, Home and Travel modes, Weather Alerts with tone, voice or LED display, Weather Scan, S.A.M.E. Digital Technology enables local alerts/warnings programming easy. Stores up to 9 county codes and 10 reviewable alerts. 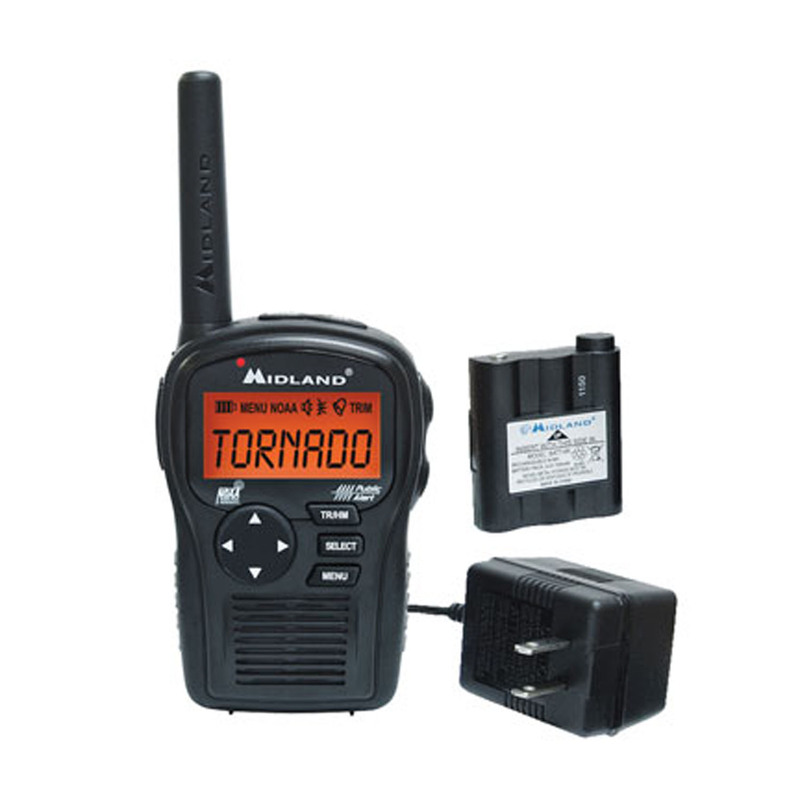 Radio comes with rechargeable battery pack, AC adapter & belt clip. Note: Also operates on 3 ”AA” standard cell batteries (not included).